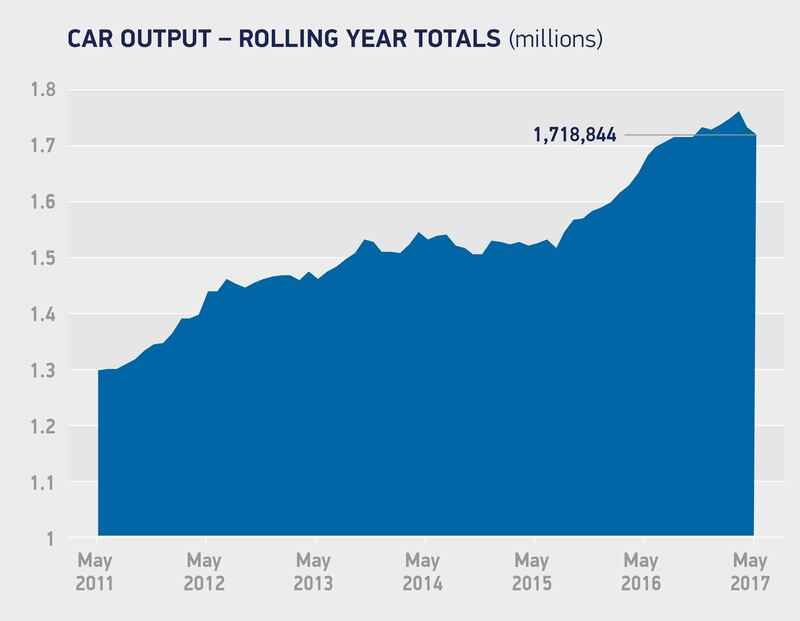 New car production falls -9.7% overall in May as car makers adjust production schedules for new model introductions. Demand from overseas buyers remains strong, despite a decline in May. Production levels rebalance following record start to the year. As car manufacturers prepare to ramp up production of new models, exports continue to be the main driver of demand. 576,556 new cars have been shipped abroad since January, a 0.8% increase year-on-year, although production for overseas markets fell -9.0% in May. Almost 80% of all cars made in Britain are exported, with more than half going to Europe. Production for the home market fell -12.8% in May, down -8.1% in the year-to-date, with 153,199 cars destined for UK showrooms. Despite this, nearly 730,000 new cars have been made in Britain in the first five months of the year, following the record performance seen in Q1. After a record start to the year, car production in the UK has slowed as production lines gear up for a range of new models. Global demand is strong and exports remain the driving force for British car production volumes in the UK. Maintaining our current open trade links with Europe, our biggest market, and further developing global markets is vital for this sector.